Michael Hyatt: Well, what I’d love to say is I’m a profit and I saw it all coming and it came out just like I expected. Listening to you Brian and Michael Hyatt, was simply the best. In a world of constant competition driving peole crazy, hearing this. Wow, you guys have already changed the world. Great episode as always! 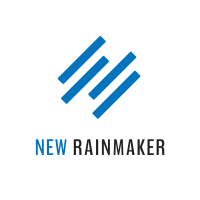 I am so so SO excited to get my rainmaker account pumping with content. Love the concept of this podcast. I’m currently studying online influence and personal branding as part of my Masters of Digital Media. This is all very relevant stuff for me… Though Brian… If you wrote a book, I’d buy it in a heartbeat. It is hilarious how you guys promote your “rainmaker platform, the complete website solution for content marketers and internet entrepreneurs” and obviously hate anything video related with a passion. Online video is booming like crazy, great creative and video content focused companies like creativelive.com and lynda.com are thriving and you won’t take any notice of that at all. Funny. We obviously hate video? That’s an amazing leap you made there, Rudolph. We’ve certainly never said anything to that effect, and in fact online video is a topic I will be exploring in depth in the coming year. Very strange comment. Sorry Brian, didn’t want to step on anybody’s toes. The conclusion that you guys must hate videos was the only logical explanation I could come up with. It takes quite a while to find any video on any of your sites…not sure if I ever came across one…can’t remember. Don’t loose your sleep over that. I love what you do with text and audio and admire the quality. I am surprised by your comment, too, Rudolf. I do almost as much video now as written content. Even my podcast is published in video. Thanks. What I heard Brian and some of his guests say is that podcast audio interviews provide an additional means to engage audiences beyond the written word. Audio has advantages over video–mainly the convenience of listening while driving or doing things that preclude watching a video. Video podcasting is growing on the Web due to tablets, smartphones and other mobile devices that increase its availability. The iPod is to audio what the iPad and other streaming devices are to video. Both audio and video have their place in content marketing. Brian Clark is the guy who created and sold Tubetorial. Not only does he believe in online video, he has the check to prove it. Awesome broadcast. Truly inspiring- thank y’all so much! Good stuff Brian and Michael. Michael’s “Platform: Get Noticed in a Noisy World” is an awesome read, and I’m really excited about what’s coming up from him in 2015. Also, really impressive setup you guys have going on with Rainmaker. I’m checking it out via the free trial and it really does look like you’ve got everything covered. Also, if you really like Michael’s speaking style, “Platform” is available on Audible. Downloading now! Hey Cameron – what a great idea, not sure why I haven’t thought of getting it in audio format – more so that I’m really enjoying consuming content via podcast these days (it’s taken a while but I think podcasting has finally found its feet). Getting the Audible version over the weekend! Cheers. From my perspective by far your best interview yet Brian. Interesting and fresh. After Pat Flynn, and David Garland, I had decided to give this podcast a rest til you came back to your senses again. But this one was worth the time defenitly. Thanks for bringing Michael on the board. Thanks for another great episode. I love CopyBlogger and what you’re teaching. The Rainmaker series are very useful. And yes, like you both, I like to recharge so I understand what you mean by being an “introvert”, but an introvert who isn’t exactly shy. Great talk! So good you mentioned the importance of work – life balance as well. A hot topic that’s challenging for many of us including myself, so it deserves a lot of attention. Thanks a lot for all episodes this year and wish you all the best for next year!